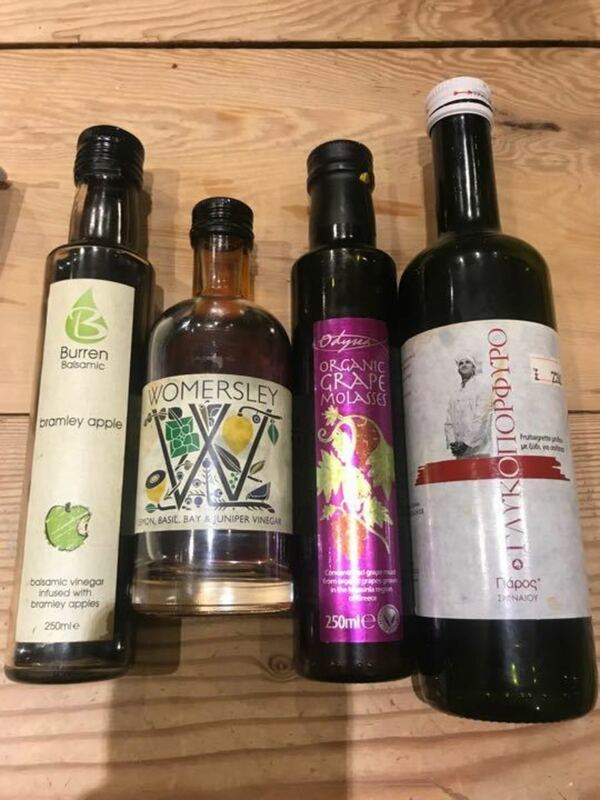 Three vinegars (Irish Apple, Greek Apple and Lemon,Basil,Bay and Juniper) all suitable to use as a balsamic vinegar replacement. In date, varying amounts used. New bottle of grape molasses – a sweet syrup made by boiling grape juice (no sugar added) and great for savoury and sweet cooking). I’ve built quite a collection and these are all good but I have to be realistic about how many I can use!